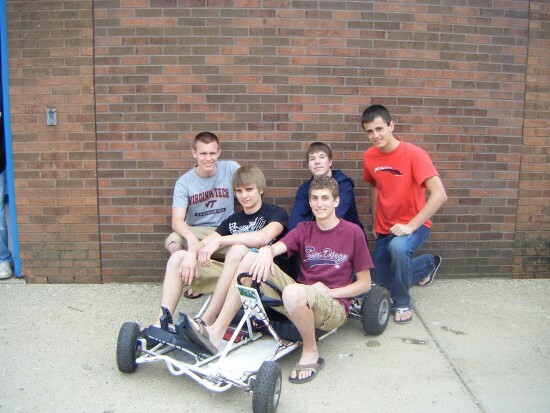 A complete conversion from a gasoline powered go kart into an electric go kart featuring a full control system with feedback. 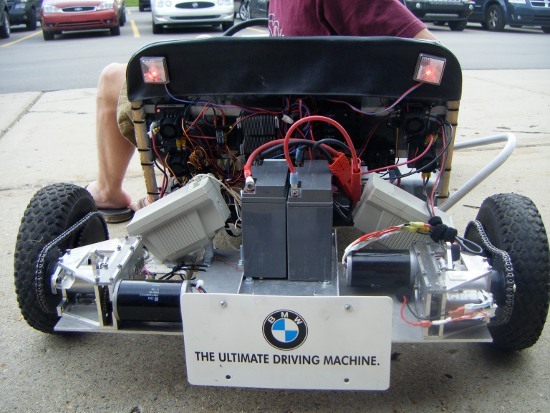 Pictured here are the four motors powering the vehicle, motorcycle batteries, brake lights, electronic speed controllers, and various other components of the control system. The dashboard of the vehicle is outfitted with an LCD screen that displays current power being sent to the left and right drives. 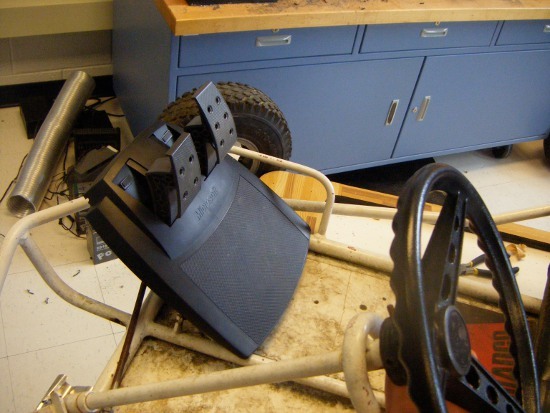 A potentiometer inserted into the steering shaft allows the system to dynamically alter motor speed based on turning. 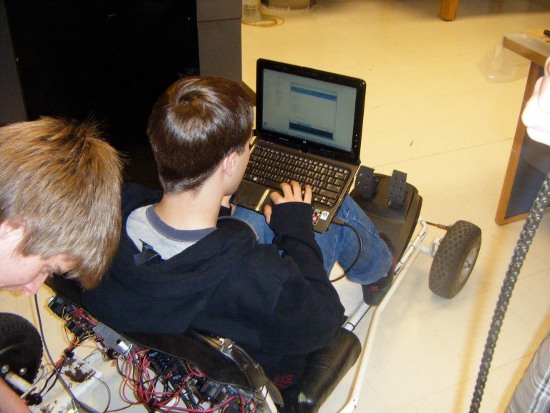 Reprogramming the software running onboard the system. 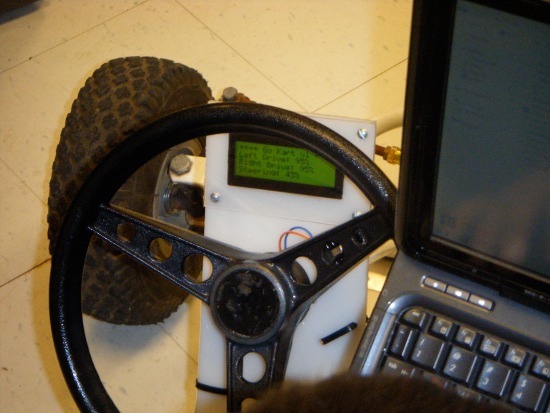 The system uses a modified set of steering wheel/pedals from a racing video game. The system has variable speed control by use of this method. The electronic bits that make everything actually work.